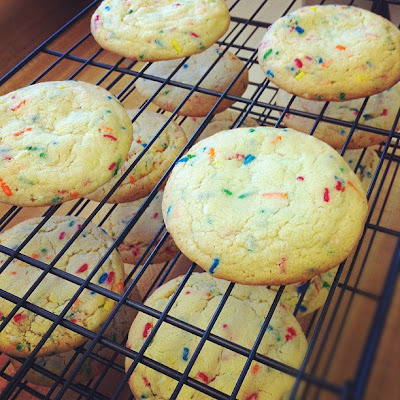 from pin to project: funfetti cookies. Thoughts: These cookies are to die for. They are so sweet and rich, crispy on the edges but soft and chewy in the middle! Super pretty looking, too! The secret, if you ask me? The almond extract. 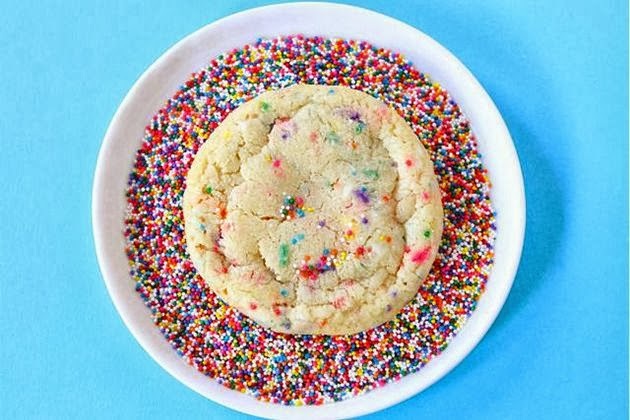 They will likely become my go-to cookie for all holidays, with just a swap of the sprinkle colors (red/white/blue, orange/black, orange/brown, red/green)! Pass me a cold glass of milk, and leave me to it. Those do look yummy, thanks for sharing!! Try them out for sure! You will be converted! And make sure to use an ice cream scoop for size consistency. These cookies like to be big! I’ve been thinking about you – are you still pregnant?! Or are these posts pre-scheduled?! These do look SUPER good and I may have to try them out!! !